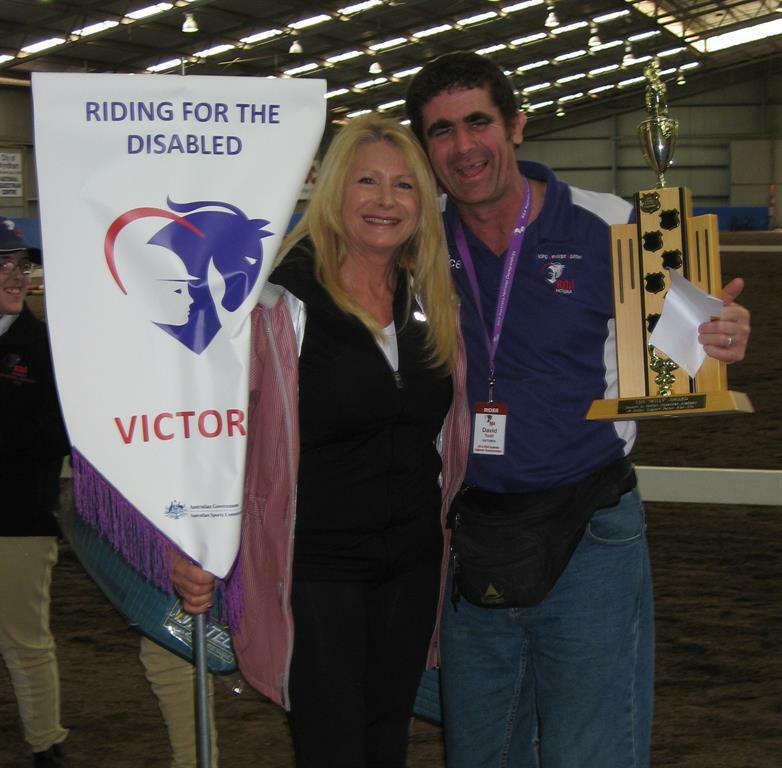 David Todd - Riding for the Disabled Association of Australia Ltd.
"for a person who was never any good at sport, now competing in the National Championships was a dream I would have never even considered before joining RDA Officer"
The 2013 RDA National Championships has to go down as one of the best experiences of my life that capped off such an awesome year. I was recovering from losing both my wife of 21 years and my mother in 2012. I began volunteering at the RDA Officer Centre and was asked whether I wanted to ride, which I said yes to. Then with Mark McIntosh as my Coach, was encouraged and supported to enter both the State then the National competitions. was going to be a fabulous experience and was not let down. The people were all great and welcoming and, for a person who was never any good at sport, now competing in the National Championships was a dream I would have never even considered before joining RDA Officer. I loved the dress up at the BBQ dinner, then to top it off at the end, I was asked to carry the Victorian Flag at the Closing Ceremony; a great honour indeed that I accepted with great pride. Then the icing on the cake was winning the Willy Award for sportsmanship. Words could not describe the feelings I felt then and this has truly gone down as one of the most memorable and rewarding experiences of my life, hands down. Thanks for the support I have had from everyone from the RDA Officer Centre and, of course, the State Coaches and being asked to join the State Squad.